Practicing yoga regularly helps to improve fertility. It is also beneficial for the overall health. Practicing yoga regularly is one of the natural ways of improving fertility. Read on to find more about the benefits of yoga for fertility and yoga postures which help to improve fertility. 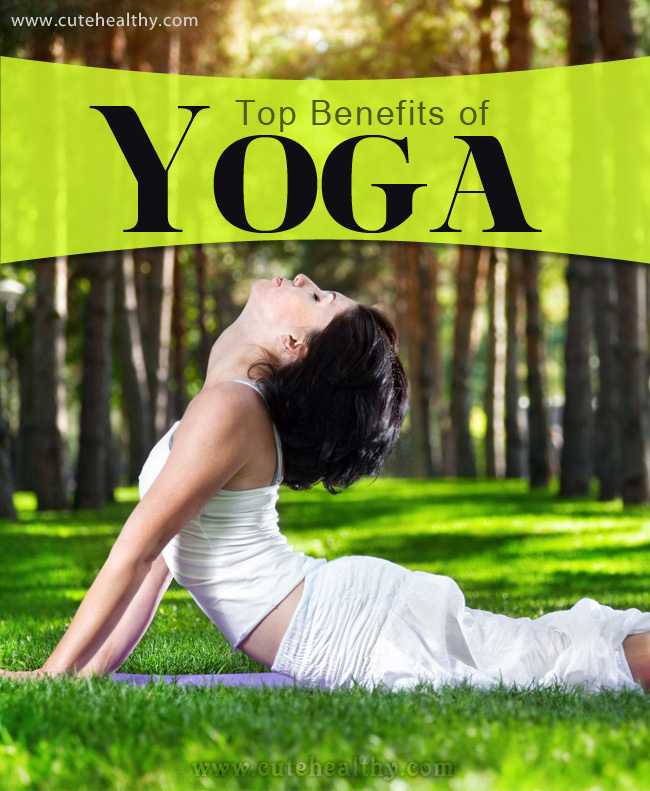 Benefits of yoga have been observed by many people today and in almost all aspects of life. The rate of fertility is seen lower these days also because of the sedentary lifestyle of women at home or in office, lot of stress, smoking, intake of certain medicines, deficiency of certain nutrients in body. Stress release and relaxation are given importance because stress is considered one of the most important factors of infertility. Yoga is a proven form of exercise and relaxing that helps people in many ways. Yoga for fertility helps the body to get prepared to successfully conceive and go through the pregnancy in a healthy and positive way. It helps both men and women who are trying to conceive. The basic principles of yoga are introduced and some specific postures are added that helps rejuvenate the reproductive system. In this way the possibilities of conceiving increases. How Does Yoga Help to Improve Fertility? Have a quick look at how yoga can help to improve fertility. The first and the most important thing that you will experience is reduction in stress level. This is the biggest hindrance in conceiving and many people get benefited even after getting over this alone. Stress can be due to the hectic and busy lifestyle, home and office stress as well as stress due to not conceiving even after a long time of marriage. Medical treatment for infertility is most often very expensive. Yoga is the best way as it not only saves lot of money but also helps you get along in a natural way. Along with physical improvements, you will feel that you are getting emotionally and mentally stronger too. Yoga helps you get that strength from within. By regular practice of yoga for fertility, you will find that your muscles are getting toned up and this will support your reproductive organs also. You will find improvement in the whole body alignment, increase in energy and stamina as well as it well increases blood circulation allowing better absorption of nutrients and oxygen that reach reproductive system. Regular practice of yoga will also make you feel difference and improvement in your relationship with your partner. If you perform together, you will feel better communication between the two of you. Does Yoga for Fertility Really Work? Yoga has positive effects on overall health and improves fertility in most of the cases. You must practice yoga regularly and learn properly. Perform yoga under supervision of a trained teacher. A recent study revealed that positive results were seen most of the women within a year of practicing fertility yoga. The best thing is that you and your partner have to decide whether you want to conceive in a natural way or not. This is important because you will have to work on the treatment continuously and will have to have patience. Any kind of natural treatment takes time and so if you are ready for that, why not give the best natural treatment a try? But before all this, it is good to consult your doctor and find out what types of yoga asanas are beneficial and best for you. Along with rejuvenating your body and reproductive system, you can also meditate and keep yourself calm and emotionally and spiritually high. Give some time and have patience.